ETUDE HOUSE 0.2 Therapy Air Mask Lotus relieves stressed skin with a soothing formula designed to heal, moisturise and replenish. Suited for all skin types. Well suited for oil, acne prone skin. 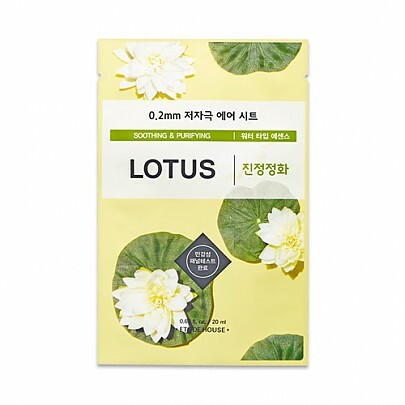 This sheet mask is soaked in a moist water type essence containing Lotus Extract. The key ingredient, Lotus Extract, works to heal acne faster and keeps your skin balanced. Vitamin A protects your skin from wrinkles and other signs of ageing whilst also providing hydration. Etude House Therapy Air Mask Lotus will purify, clear and nourish your skin; leaving it with a radiant glow. Lotus Extract 2,500ppm – Rich in Vitamin A, lotus promotes healing and skin regeneration to reduce inflamed, irritated and dry skin. It helps to balance oily skin and reduce acne breakouts. 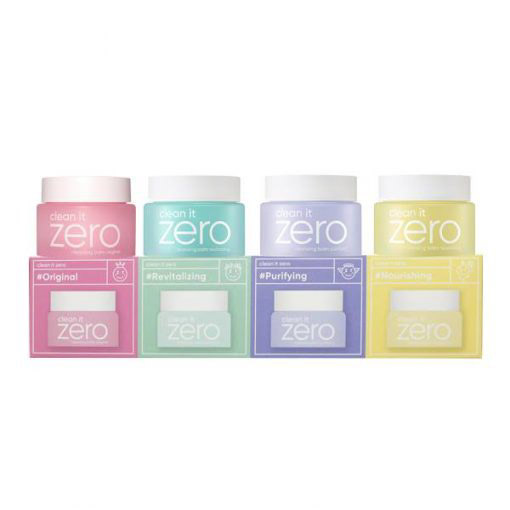 See more ETUDE HOUSE sheet masks here. water, glycereth-26, dipropylene glycol, propanediol, alcohol, hydroxyethyl urea, butylene glycol, glycerin, 1,2-hexanediol, nelumbo nucifera (lotus) flower (lotus) extract (2500ppm), sodium carbomer, allantoin, hydroxyethylcellulose, glycyrrhiza glabra (licorice) root extract, coptis japonica (goldenthread) root extract, zingiber officinale (ginger) root extract, camellia sinensis (green tea) leaf extract, dehydroacetic acid, sodium hyaluronate, disodium EDTA, dipotassium glycyrrhizate, polyglyceryl-10 laurate, polyglyceryl-10 myristate, caprylic/capric triglyceride, boswellia serrata gum, beta-glucan, hydrogenated lecithin, lavandula angustifolia (lavender) oil, eucalyptus globulus leaf oil, citrus nobilis (mandarin orange) oil, citrus limon (lemon) fruit extract, pinus palustris (longleaf pine) oil, phytosteryl/octyldodecyl lauroyl glutamate, ceramide NP.